Another pattern to add to my rereleases this week. 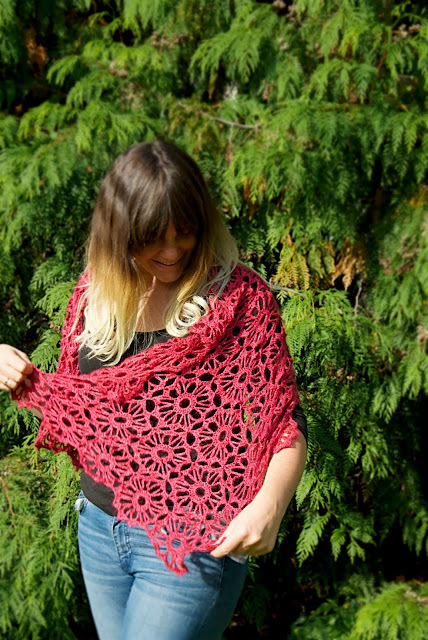 Time for the Jolene Shawl, as I pulled it out of the box of shawls this week to keep me warm now the weather has started cool off, I thought is was high time I got it listed up for sale. 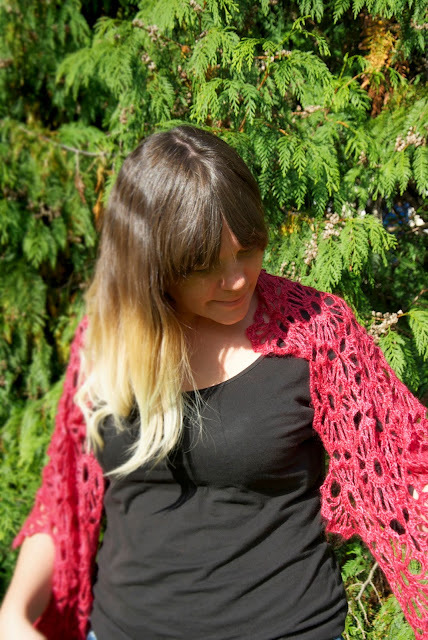 I love this shawl so much, originally published in Inside Crochet Magazine, when I took it off the blocking board I was so reluctant to post it on to the magazine for photography, I just adored it so so much. 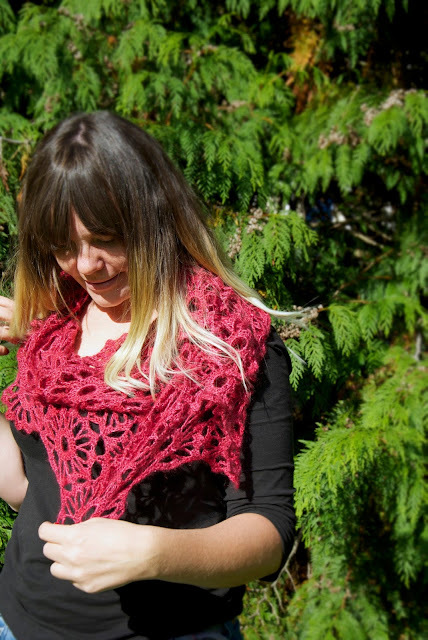 The yarn (Faery Wings by Fyberspates) is especially delicious and the drape is wonderful, it's so light and airy, yet warm and comforting. Made up of motifs which are joined in a hexagonally tessellation, like honeycomb. The motifs are joined as you make them up. 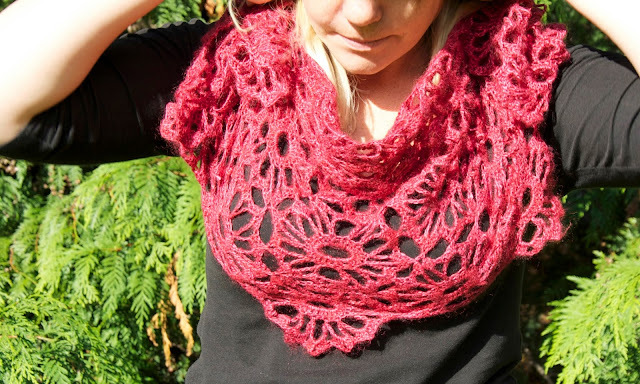 Pattern is available in both UK and US terms and you can get an automatic 50% discount over on ravelry until the end of the weekend.